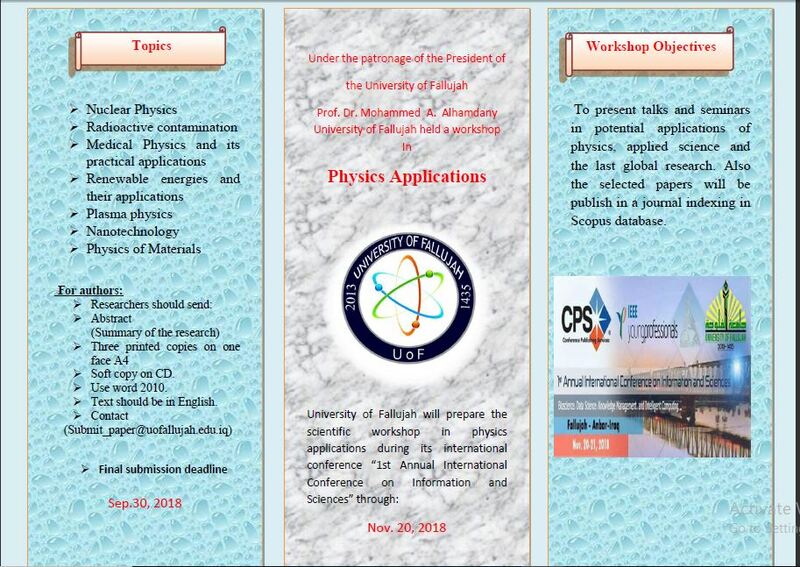 University of Fallujah is holding a workshop in physics applications, in this era, the application of advance physics science interferes with the different disciplines. 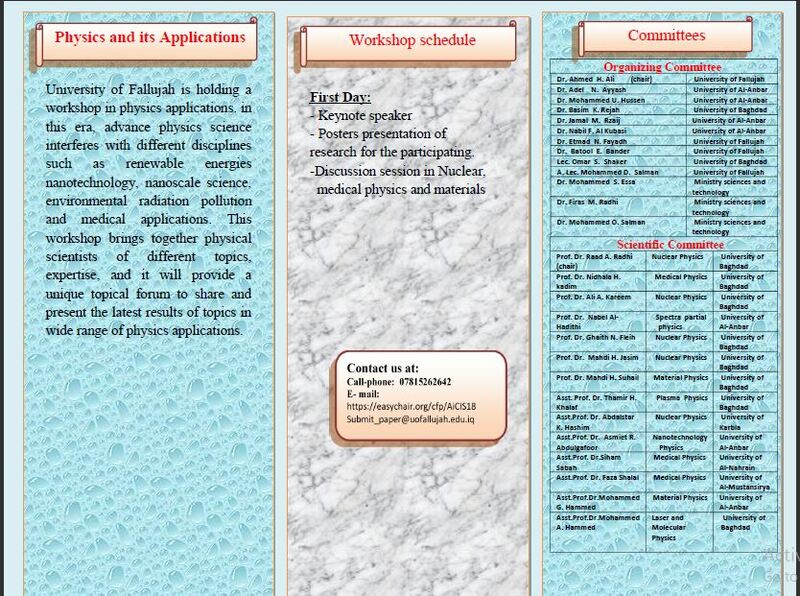 This workshop brings together the physical scientists of different topics expertise, and it will provide a unique topical forum to share and present the results of topics in wide range of physics applications. •To present talks and seminars in potential applications of physics, applied science, and the trend of research. •The selected papers will publish in a journal indexing with Scopus database. •Posters presentation of research for the participating.